Matrix pearls are the glue that holds medicine together. They are the valuable kernels of wisdom and experience that guide physicians through the complexities of modern medical practice. Cut to the Chase - 100 Matrix Pearls for Doctors takes the grand oral traditions of medicine and records them as valuable lessons. Most of these pearls arise from heated discussions at the morbidity and mortality (audit) conference, on hospital rounds, in hallways or in the physicians' lounge. Many arise in the privacy of the consultation room or from family discussions. These lessons are usually lost. They are seldom recorded and have never been catalogued. 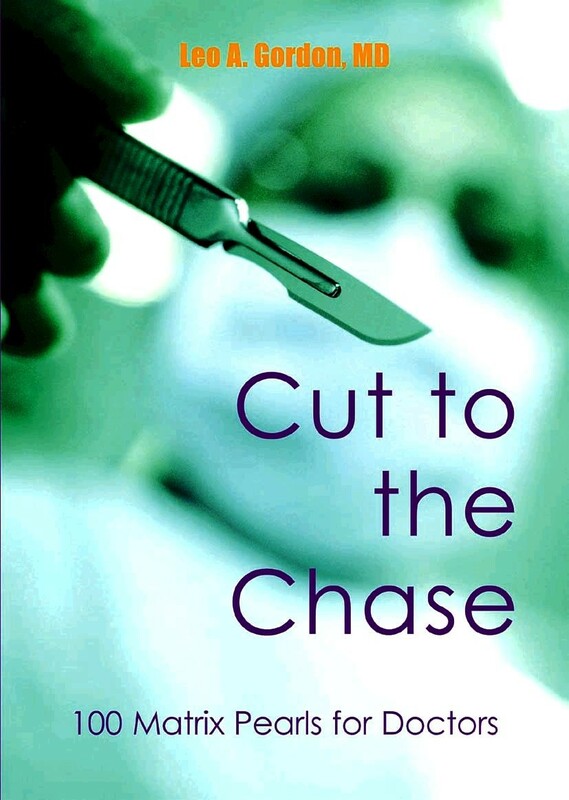 Dr. Leo Gordon, author of the popular Gordon's Guide to the Surgical Morbidity and Mortality Conference, distills a thirty-year career in medicine into one hundred witty, poignant and eminently readable essays. Students, nurses, administrators and physicians of all specialties will find in this book a delicious view of the ups and downs of life in medicine. Patients will get a rare look into the thoughts of medical practitioners. 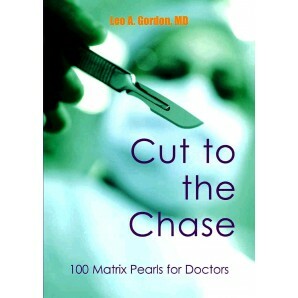 Cut to the Chase - 100 Matrix Pearls for Doctors is an indispensable guide through the world of today's medicine.